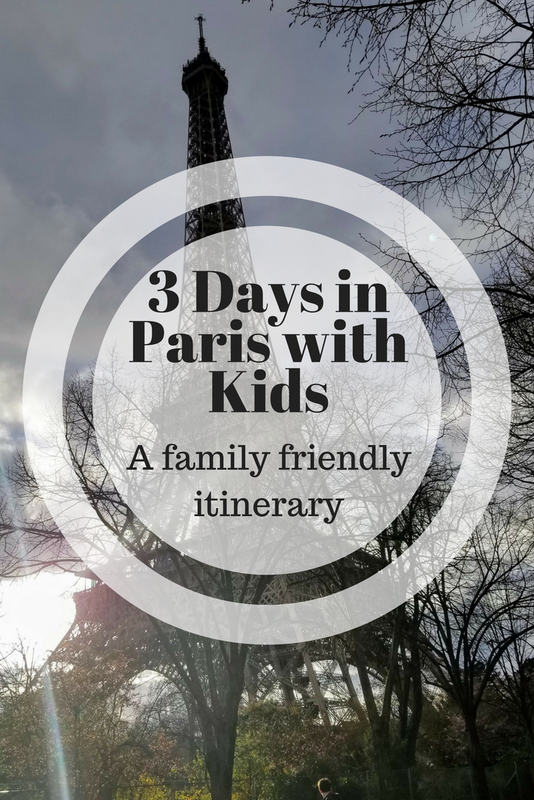 Are you looking for a family friendly Paris vacation? Yes, it’s possible! You can take kids to Paris! This 3 day Paris itinerary is what you need to make the trip fun for everyone. The most important thing you need for this trip is a plan! Though the City of Lights is most often associated with romance and l’amour, surprisingly you can make this a family friendly Paris vacation. The key to this Paris itinerary is that you don’t try to stuff too much stuff in one day. Also, you have to have at least a loose plan for every day of your trip. Don’t try to wing it. You’ll end up with tired, hungry, or even worse, bored children. And no one wants that at any time, especially in a foreign country. 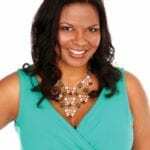 TravelingMom Tip: Build in downtime for kids 8 and under! 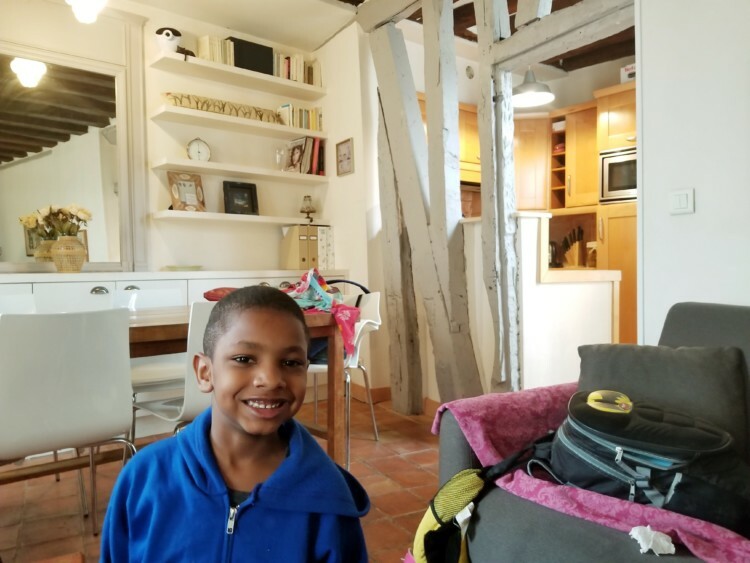 To help parents take kids to Paris in a way that families can enjoy, I created a 3-day Paris itinerary based on my family’s last trip to Paris. 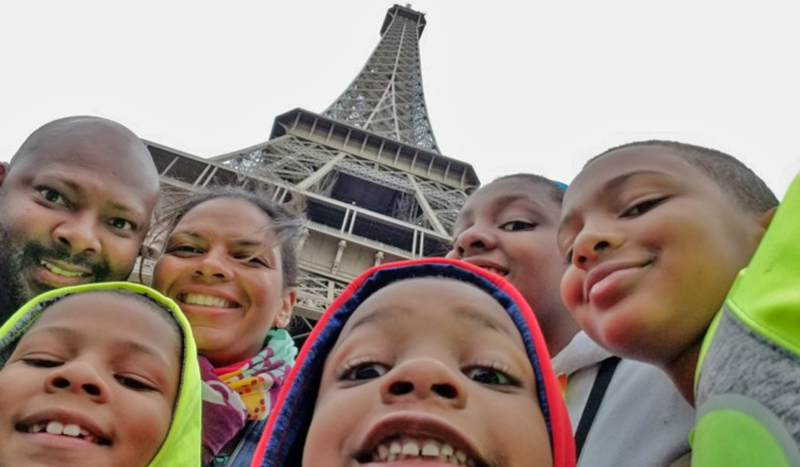 My husband and I took our four children, ages 5 to 11 to Paris, France this Spring. It was a holiday we will never forget! I spent months planning the details of the trip. We experienced so much of this beautiful city, though there were definitely things we had to pass on because the kids just couldn’t do another museum or walk one more kilometer. I learned to schedule 1-2 big things a day, which worked well for our family. Visiting Paris with kids requires some special planning, but it was really worth it. Waking up on your first day of Paris might make you feel a little like Belle during the opening scene of Disney’s Beauty and Beast. Have a quick breakfast at your Paris apartment and then head out for your first day! 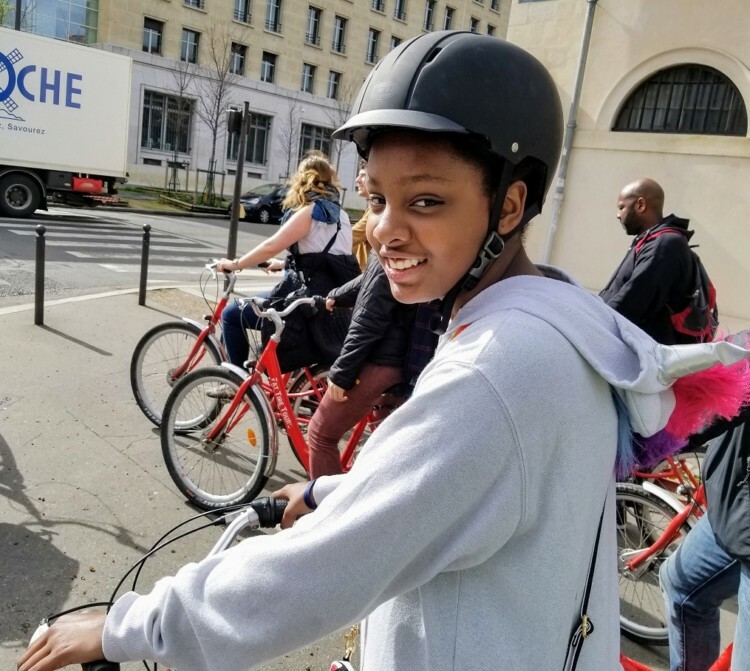 After you wish “bonjour” to everyone on the street, hurry over to meet your family bike tour from Fat Tire Paris. This bike tour may just be the highlight of your trip to Paris. 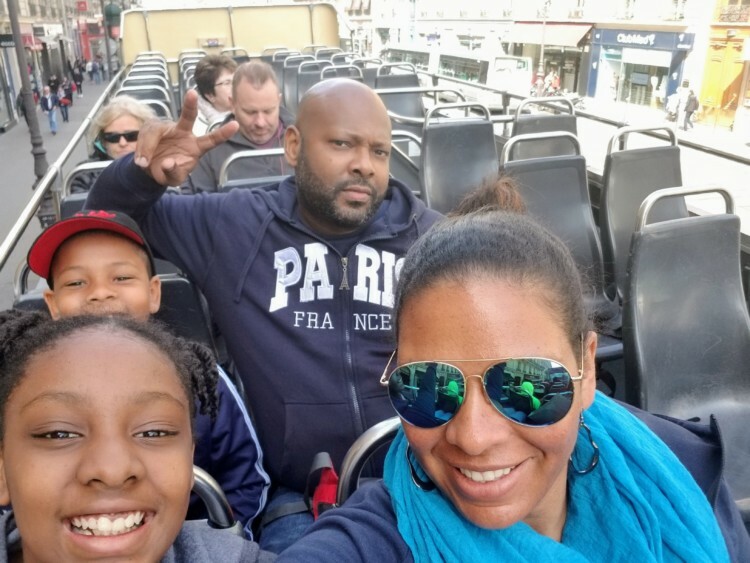 It was one of our favorite things to do during our family-friendly Paris vacation. Think you can’t do a bike tour because you have little kids? No worries. Fat Tire has baby seats, pull behind wagons and tandem bikes. They make it really easy for families! My husband and I ride tandem bikes with our 5 and 8-year-old sons. Our 11 and 9-year-olds had bikes for their sizes and rode with the group without an issue. It worked really well for our active family. Surprisingly, one of the best parts is the 90-minute lunch break in the Jardin des Tuileries (Tuileries Garden). We felt like Parisians strolling through the historic, gorgeous park on a sunny Spring day. We bought sausages served on warm baguettes and gigantic pizza slices topped with brie and ate on a park bench while the kids skipped stones in the small pond. The last stop of the Fat Tire Paris bike tour is at the Eiffel Tower. Have your guide that the prerequisite family photo here. Then after you return your bikes to the Fat Tire headquarters, walk the 20 minutes back and really experience the most recognized structure in France, perhaps the world, for yourself. While it is awe-inspiring to look up at the Eiffel Tower, don’t let that be the only way you see it. Climb up to the top! Unless you have a child under the age of three, climbing to the top of the structure is a fantastic family activity. Don’t rush. Take your time on the way up, and at each level, and enjoy it. 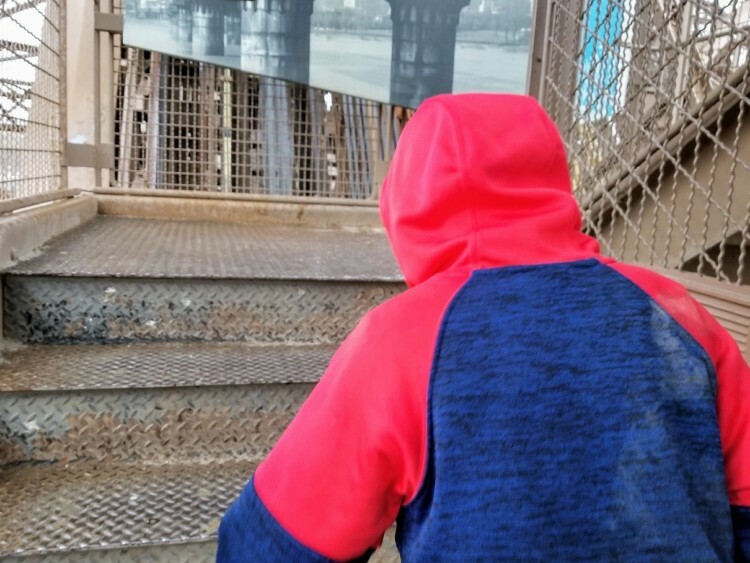 By walking up the 669 steps to the second level of the Eiffel Tower, instead of taking the elevator, you will feel proud of your accomplishment and your kids will too. In addition, the lines are shorter. The cost is substantially lower. And active kids will get to burn off some more energy. I bribed the kids with ice cream and macarons at the upper levels when they were tired. It worked like a charm. And now we can always say we did it! Save Time and Skip the Line! If you really don’t want to walk up or wait in line, I’d suggest one of the ‘Skip the Line’ tours from Fat Tire Paris. It isn’t cheap but may be worth it to you! Afterward, grab dinner at the local grocery store, Monoprix. 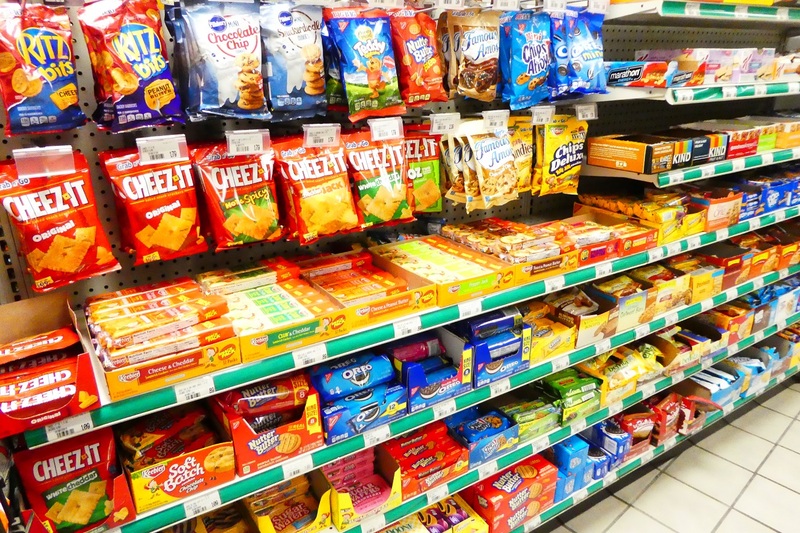 They have delicious bakeries and deli counters and most have comfortable seating for families. And it is super affordable. The kids still talk about our many baguettes and brie sandwiches served with a cold Coca-Cola in a glass bottle. On day two, waking up should be a little easier. Have a hearty breakfast at your Paris apartment like fresh bread, cheese, and thick cut bacon. Then pack some snacks (of course) and head out for some culture! There are dozens of museums in Paris. They feature every kind of artwork imaginable and all have art that is beautiful, rare, and truly inspiring. However, on a family friendly Paris vacation, I found limiting our museum visits worked well for our family. The one I definitely wanted to see was the Louvre Museum. It is so big though that I didn’t know where to start. I read that if you spent only 60 seconds looking at each of the objects at the Louvre, for eight hours each day, it would take you 75 days to see them all. Enormous is an understatement. 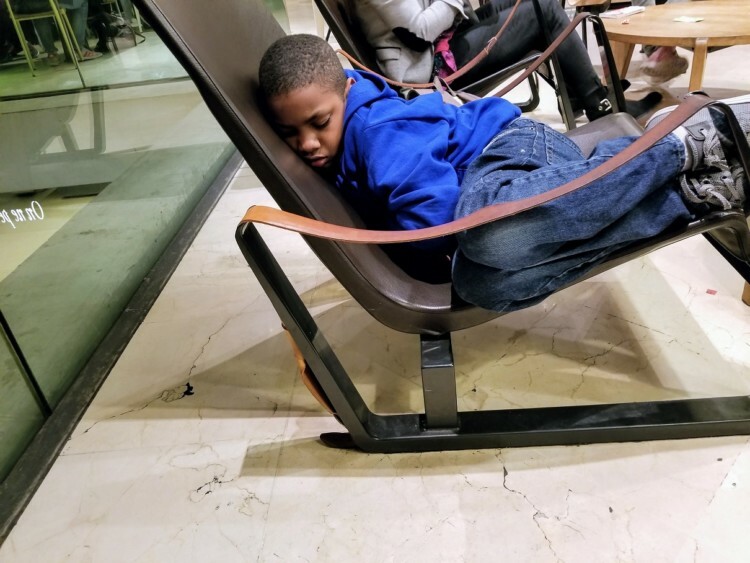 When I found that Context Tours offers a half-day family-friendly tour of the Louvre, I knew that would work best for our family. I am eternally grateful for that decision. We would have gotten lost and frustrated and totally stressed out without our guide. Context Tours only offers small group tours with a max of six people, so we received a tour that only included our family. Our guide was extremely knowledgeable about the Louvre but also about relating to children. He engaged the kids from the beginning. We all learned so much. 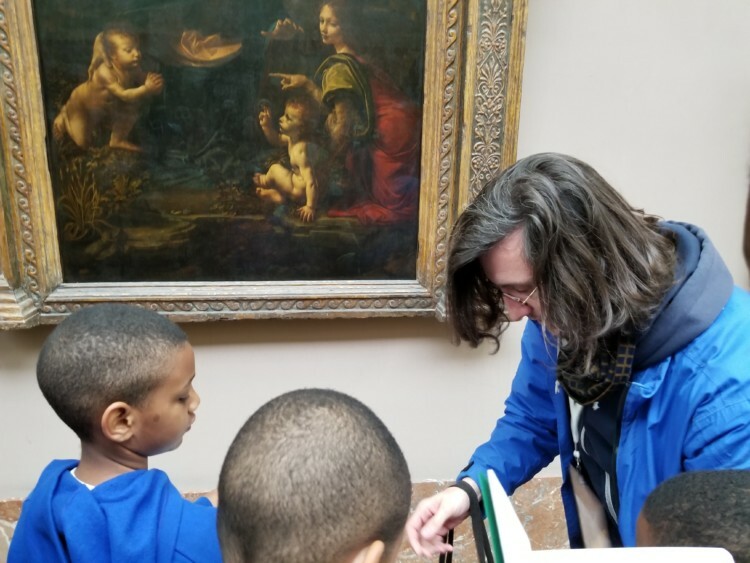 Seeing the Mona Lisa in person was fantastic, but learning the backstory to some of the other paintings and sculptures was what really made our day. We could not have learned a fraction of that by ourselves or even with using those audio guides. After a morning at the Louvre, grab a quick lunch at the Carrousel du Louvre, which is an underground mall and food court. (I admit, we did eat at McDonald’s.) Then, hop on the Metro for a quick ride over to the Big Bus Tour for a sightseeing tour of Paris. It is a hop-on-hop-off tour, though you may want to just stay on and let any little ones curl up and take a nap. When you buy the Paris Pass, which I highly recommend, you receive a one day pass for this bus tour. You also get free admission to dozens of other museums including the Louvre (which will lower the price of your Context Tour). Sitting on top of the double-decker provides lots of opportunities for photos and let me see places in the city that we just weren’t going to get to this trip, like the hills of Montmartre. When you’ve had your fill of sightseeing, stop by a creperie for a traditional French meal that kids will love. The Crêperie framboise Louvre St Honoré is near the Big Bus tour stop 1. Try the sweet and savory crepes. 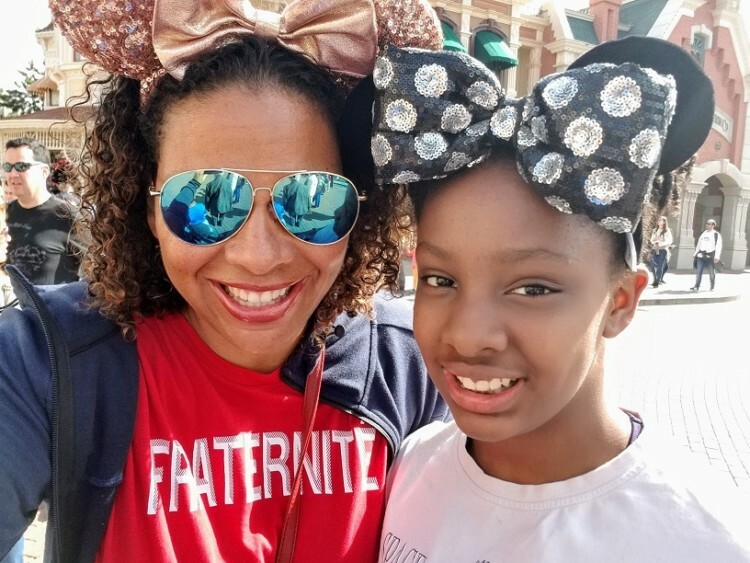 When you are planning a family friendly Paris vacation, a trip to Disneyland Paris is just what the doctor ordered. Honestly, I think a Paris itinerary just isn’t complete without it. Wake up early grab some breakfast to go as well as some sandwiches and snacks for lunch and catch the Line A RER (Regional Express Network) train to its last stop at Marne-la-Vallee station. This 45-minute ride takes you right to the gates of Disneyland Paris. 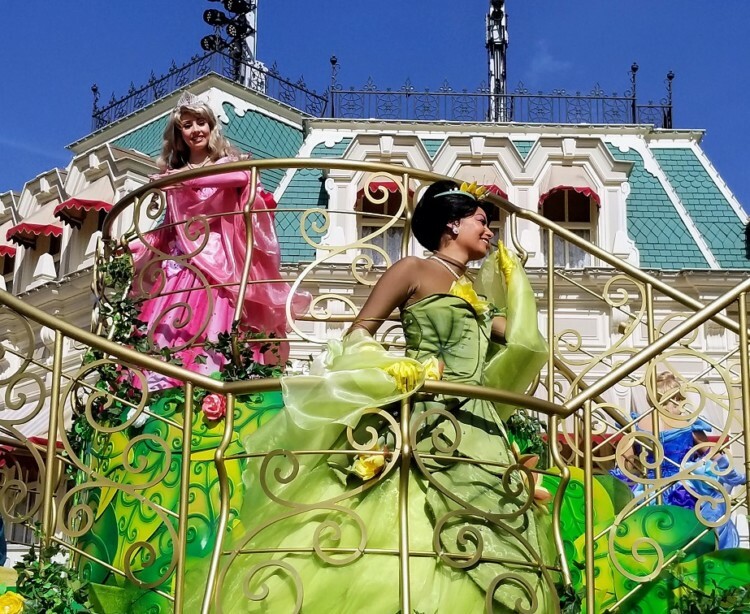 Take in the awesome, pink-tinged Sleeping Beauty Castle and ride your fill of both thrilling and tame rides in the two parks, Disneyland Paris and Walt Disney Studios. Walk between parks during the day (provided you have a multi-park ticket). While there are some similar rides to those Walt Disney World and Disneyland, others are totally unique. Our favorites included Hyperspace Mountain and Adventure Isle. Ratatouille is a perennial according to many experts but it was out of service during our trip. What to eat at Disneyland Paris? Stop for a picnic lunch you brought from outside when the kids get hungry. This will save you from standing in line and paying exorbitant prices for theme park food. Don’t miss the entertaining parades that happen throughout the day. You can get super close as the French seem to not be too impressed. We sure were! After seeing everything you can see, and you’ve ridden all the rides you can, grab dinner in Disney Village which is adjacent to the theme parks. It is similar to Disney Springs in Orlando. Vapiano, Five Guys, and Rain Forest Cafe are three great sit-down restaurants of various affordability. If your kids can still hang, stay for the nightly fireworks before getting back on the RER and heading “home” to Paris. 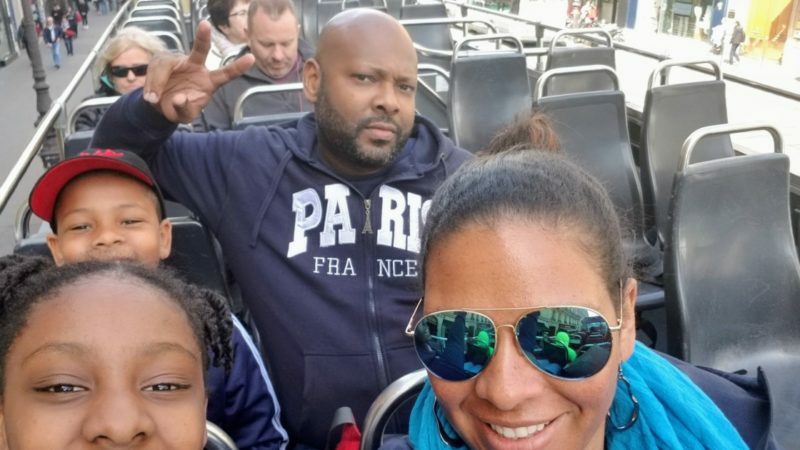 This Paris itinerary will help give you a general idea of what should be planned for a fun, relaxing family friendly Paris vacation. While a 3-day itinerary is certainly pretty short, you really can see a good deal of the city by using tours and planning your time wisely. Check out these 29 tips for first time international travelers as well as this 3 day London itinerary if you want to skip over to England too. Wow are you a clever mom and organizer. I did Paris in a week with one ten-year-old. I loved your idea for the Louvre tour! What was the name of the apartment you all rented during Paris trip? Do you have a link to the rental?